Don't make these mistakes - get the job YOU deserve! When heading out into the job market, many new graduates find it’s not as easy as they had anticipated. However, many of these students are making similar mistakes in their search without knowing it! While you may think your degree guarantees you a job, that isn’t always the case. Avoid these top job search mistakes, commonly made by new graduates, to help you get the job you deserve. Most likely, your first job will not be your dream job. That’s just the reality of life. If you’re expecting to obtain your dream job right out of the gate, you’re setting yourself up for disappointment - and to remain jobless. Your goal should be to find a position where you have a role to work towards. Look for job roles where it’s possible to climb the ladder into a dream role and there is possibility for upward mobility. Sure, you look great on paper. But, remember, so do all of the other applicants applying for the job positions. And, in this job market, there are going to be a lot of other applicants. Making the assumption that you don’t need to speak up and sell yourself to an employer is a huge mistake because if you don’t, nobody will. Be aware that, while your qualifications may get you in the door for an interview, selling yourself and giving examples to demonstrate how you are the right job candidate to fill the position are what gets you hired. When you go into any interview, be prepared to sell yourself. Enter armed with examples of how you’ll get the job done and what you, as a unique individual, will bring to the company. Many new graduates lack this type of interview experience and charisma and it costs them job offers as a result. You’ll gain the upper hand by brushing up on these skills and, likely, job offers, too! In a world where everything is based on the internet, it’s virtually incomprehensible to most new graduates that not all jobs are posted online. Yes, it’s true. Restricting your job search to web-only is hindering you from finding many great opportunities that are out there – they’re just not listed. Maybe they haven’t been listed yet, maybe the companies prefer referrals. 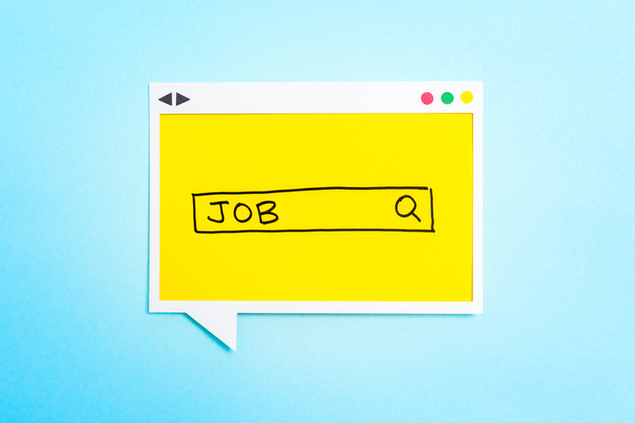 There are a variety of reasons some companies don’t post job listings online, but the point is, if you only look online, you’re never going to learn about them.